The Master Masahiro Oki, who had pursued difficult asanas (yoga postures) and wished to engage in meditation to develop supernatural powers while also experiencing aspects of Indian yoga, then combined the good aspects of all these fields to create a yoga that featured a yoga philosophy useful in daily life as well as concrete implementation methods and ways of using the body leading to health, in addition to diet and breathing approaches. 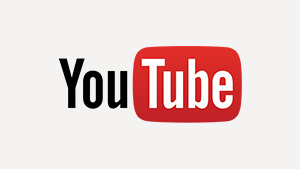 There is also the so-called OKI-DO YOGA Group. At the age of 14, he met the Burmese monk U Ottama, the father of Burmese independence, who was visiting Japan, and first learned about yoga. During the Second World War, Oki studied Zen in China, Tibetan Buddhism in Mongolia and Tibet, Brahmanism in Arabia and Iran, and yoga in India, thus experiencing and practicing in various religious traditions. He also incorporated elements from Japanese martial arts and opened a yoga dojo in Mishima, Shizuoka Prefecture. 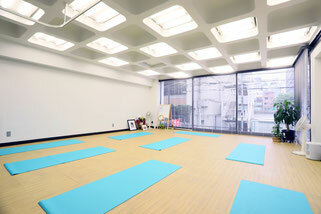 In Japan this school is known either as OKI Yoga or OKI-DO YOGA, while overseas it is known exclusively as OKI-DO YOGA. Drawing on a philosophy that sees "life as no other than God", whereby we see God in all things, Oki proposed correct ways of using the body, correct diet and correct spiritual attitudes, such as human relations that honor the other person, thus proposing a yoga that could be put to use in all aspects of our daily lives. The purpose of yoga is reaching "ecstasy", which is the joy of all life. The asanas are one part of that goal. The Master Masahiro Oki wrote many books. 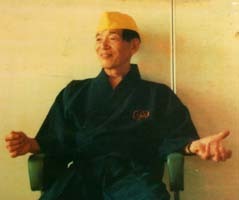 The activities of the OKI-DO YOGA Dojo, where one can experience the OKI-DO YOGA described in his books, continued following the Master Masahiro Oki's death on up to 1994. At present, his disciples have yoga classrooms in different parts of Japan where they continue to teach and propagate his methods. The OKI-DO YOGA Association, A General Incorporated Foundation, was founded to propagate the ideas of the Master Masahiro Oki and further his activities.